India is the world's largest democracy, and the sixth largest economy with the likelihood that this success will continue for many decades in the 21st century. India aspires to be super power. Will this happen? 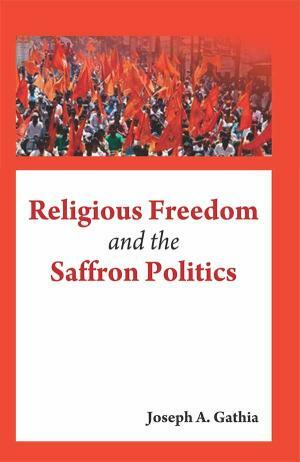 In Religious Freedom and the Saffron Politics, the author identifies trends that will shape India's future. This book presents a comprehensive overview of religious policy in India since the Independence, exposing many of the ambiguities and uncertainties about the position of religion in Indian life and the relation between state and religion. Since Narendra Modi's victory in 2014 the critics have been worrying about India drifting towards illiberal democracy status , with its secular foundation replaced by some kind of new Hindu majoritariian vision. The Rashtriya Swayamsevak Sangh (RSS) has emerged has one of the most powerful organization in India today with capacity to influence the policy process of the governance. This book address the questions: What are the reason for the tremendous growth of the RSS and its affiliates? How does their rapid growth influences the religious freedom in India? This book deals with the controversies that have dominated headlines worldwide such as Ghar Wapsi, cow protection, the National Register of Citizens (NRC), saffronisation in education, etc. What constitutes "legitimate," constitutionally protected religious practice? Does it include the right to Dhamantaran –religious conversion? This volume is a vivid account of a divided society in the grip of ethnic/ religious tension – and a struggle that will shape not only just India's future but also the world's.